The arts world, as many will tell you, can be a notoriously difficult world to get into. Since its inception in 2004, 24:7 has been about finding, nurturing and developing creative talent. Experience, skills and ability are all important, but who and what you know can be just as vital, as well as having the ability – and the confidence – to network with other artists and creative practitioners. Combine all these things and you have a real opportunity to make positive and practical steps towards a career. 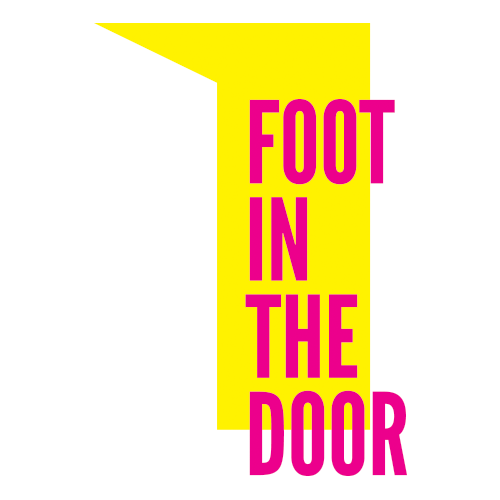 Foot In The Door 2015 – run by 24:7 Theatre Arts is a professional development programme designed specifically to offer young people hands on experience and training within the creative industries, funded by Arts Council England and Awards for All. Participants in the scheme develop key skills and qualities appropriate to working as a freelancer in arts marketing, event promotion, theatre production and project management. They will receive a tailor-made placement in line with their personal aspirations and the support to develop the strengths they will need for the future. We are delighted to have worked with Colour the Clouds Theatre, Box of Tricks Theatre, Monkeywood Theatre and Dreamscope TV as placement companies in 2015, as well as collaborating with PANDA, The Lowry, The Producers’ Network and somewhere_to on the 2015 workshop programme. Furthermore, 24:7 is a registered Arts Award Centre and Arts Award Supporter. We offer nationally recognised qualifications to support anyone aged up to 25 to grow as an artist or arts leader. In 2014 15 trainees were either: attached to one of the ten 24:7 productions to get hands-on experience of developing a Festival show; assisted the Festival Manager in the delivery of specific projects; a videographer with Dreamscope TV, 24:7’s official film production partner; with PANDA; or at Manchester’s Craft and Design Centre. The FITD scheme has a proven track record in supporting trainees, allowing them to help shape their future careers whilst learning all the way. 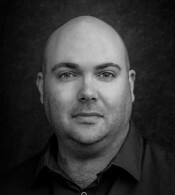 Matt is a director and writer with a background in performance. He has been either side of the stage on many shows and his favorite directing duties include Singing In The Rain and ‘Allo ‘Allo. His last project was working on The Rise and Fall of Little Voice (Assembled Junk Prod.) as Assistant Stage Manager and Assistant to the Director . 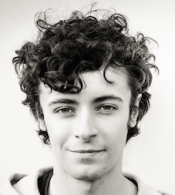 He is thrilled to be on FITD as part of the 24:7 Festival and is looking forward to developing as a Manchester emerging theatre-maker. Jenny graduated from the University of Huddersfield in 2012. As well as continuing to train and perform, she has gained experience as Workshop Facilitator, Front of House Manager and Administrator. Jenny is enthusiastic and committed to reaching and working with people from across the community as a theatre practitioner. Through her FITD placement, she aims to hone her current skills, and develop those she needs to build a career in Theatre and Community Outreach. 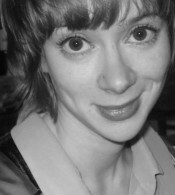 Lenni is a recent graduate of English Literature and Creative Writing at Lancaster University. 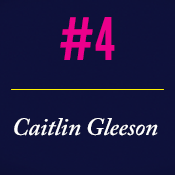 She is a writer and performer with a strong interest in organising and facilitating arts events. With a background in poetry, recently her work has diversified into working on theatre orientated pieces and sound-editing spoken word EPs. She is very excited to be involved in Foot In The Door, gaining practical experience in her early career. After graduating from Cardiff University, I’ve been trying to get as much experience working backstage as possible. I’ve stage-managed at the Edin-burgh Fringe and crewed at Cardiff’s New Theatre, as well as completing placements with the Thalia Theatre, Hamburg, Sell A Door Touring Company, the Welsh Millennium Centre & the ATG West End group. I’m very excited to be working with Monkeywood at the Lowry. Tabitha is about to graduate from Salford University with a degree in Drama and Theatre. 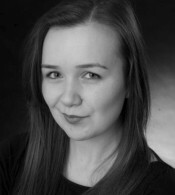 Alongside this, she has trained in the Royal Exchange Theatre’s Young Company for the past two years. 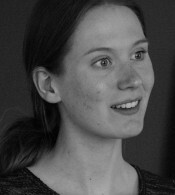 Tabitha has taken on the role of actor, director, writer and publicity in her past productions. Now, she is looking to set up her own children’s theatre company and gain more experience within the industry. I’m Paul and about to graduate from Salford University. During my time in Salford I’ve written, directed, stage managed and performed, as well as acted in over a dozen outside of University. I see myself as Playwright/ Performer and hope to set up my own Theatre Company, as well as being a freelance writer. 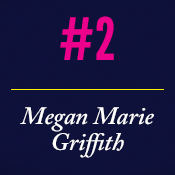 24:7 has been a turning point in my career – I’m fully enjoying being immersed in the arts. 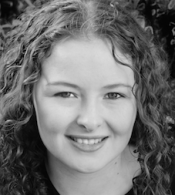 Chloe is about to graduate from The University of Salford with a degree in Performance: Drama and Theatre. She has been involved in a variety of projects whilst at University including a murder mystery set in 2014 Salford and a verbatim one woman show about hate crime. 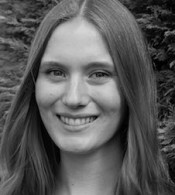 Chloe is an actress and a writer, but is looking forward to learning about how everything works back stage and meeting new people. 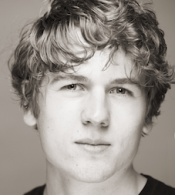 Christopher trained as an Actor in Edinburgh and graduated in 2013. Since then he has performed in Theatre, TIE, Street Performance, Pantomime and Film and has recently moved to Manchester. 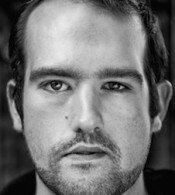 Christopher hopes to gain new skills in the back stage areas, build contacts, experience and hopes to create productions in both film and theatre alongside his acting career. 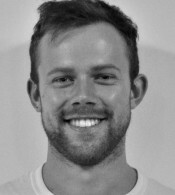 Will is a recent performance graduate from the University of Salford, where he performed in a variety of shows, including Contact Theatre’s To Russia With Love in 2014 and Doormat and Hallway present ‘Something Partially Funny’. 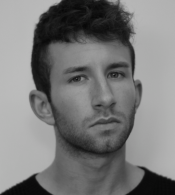 Alongside acting Will has experience in PR and events management. Will is keen to take advantage of the thriving theatre scene in Manchester. I graduated from the University of Salford with a Degree in performance and Theatre. Since then I has been involved in a number of projects for both Theatre and TV. In July my play The Madcap Laughs was performed at the Nowt Part Festival and I’m involved in the production of The Fey (Bewilderest Productions). I’m enjoying my time with FITD; working alongside professional mentors and speakers. It was a nerving process to get to the presentations as it’s a hard task to talk about yourself in a clear and concise manner. The one area which I struggled with was the amount of time we had each and what to include and what not to include. I decided to just speak from the heart and show my passion for the arts and it paid off in the feedback. Pretty much all said they could see my passion which was really nice for me. I did find that the best way to go about it, is try keep it to the minimal time limit you have and leave the industry professionals wanting more. Therefore I talked about certain subject matters in my presentation which I didn’t fully explain, and it made people intrigued to know more and showed a genuine interest in what you said. What I would tell any future Footie, is not to panic about putting together your presentation. At the end of the day, it’s in a safe environment which the audience just want to see you at your best. They aren’t there to criticise you, they are there to help you on your journey and bring the best out of you. Really insightful and enjoyable workshop to attend. Anyone who can go, DO IT! Found out about the history of the Royal Exchange Building and the Theatre Company which some people may not find relevant, but I think it’s so important to know about how a company have grown and their routes. We explored a number of different exercises, some I’ve done before, some I haven’t. They all helped with not just understand about how to create a show in the round, but in any theatre space full stop. If you are an actor, it made me more aware of what some directors want out of actors, and what they don’t want, ie- actors shouldn’t ACT, they should be relaxed and show their personalities, not trying to impress. A really good quote was used, ‘Acting is – 75% Personality and 25% Acting’. I think this is something which actors need to bear in mind, because it happens so often that actors try make it the other way round and that’s not the case. Actors TRY TOO HARD to be seen and be noticed. So, to kick-start, a bit about my run up to this particular Door. I’ve volunteered with 24:7 as a Deputy House Manager for the past two years and have revelled in the live buzz of the festival. It has been a real privilege to support the performances; the programme of work has been diverse, and consistently fantastic… and made me hungry for the chance to be a part of making them happen from a production level. Which is where Foot In The Door kicks in! I was delighted to be offered a place on the PANDA training week, which would culminate in some participants being attached to this year’s 24:7 productions and affiliated companies. The prospect of a “week-long interview” was rather daunting, not least as I had little idea what to expect. However, any apprehensions were swept away over the course of the week. As part of a supportive and diverse group, I learned to recognise what makes “me”: how my acquaintances and experiences (good and bad) have built me so far; how I relate to others; and where I want to step up in my career from here. It was wonderful to be allowed this time and space to reflect on myself, my past, my practice and my hopes for my career. What particularly stuck with me was the opening of communication as a two-way street: I found a new confidence in articulating my thoughts and experiences to others in the group, and in turn developed listening and questioning skills to encourage others to open themselves… ironically, I find this experience difficult to articulate here, but I’m sure it will prove to be a key to many future Doors I face in my life and career. This all sounds wonderfully liberating and empowering… in theory. The clincher came when we were told we would be preparing and delivering a presentation about ourselves before an assortment of theatre professionals, including members of the potential placement companies. Although not the easiest of surprises, what startled me most was how “unstartled” I was by this prospect. Nerves balanced out with excitement as I realised, I could do this. I am worth listening to, even for as long as 5 minutes! With the support of PANDA and my peers, I learned to value myself, my experience and my aspirations as a theatre practitioner. On the day of the presentations, I was thrilled to openly and honestly present myself before the not-so scary artistic assembly, and to witness my fellow “Footies” take the challenge in their strides. I am delighted to now be on the next step of my Foot In The Door journey, as I have been placed with Scallywags. This is children’s theatre company that have been chosen to devise a site-specific family-friendly piece to be performed at Manchester Museum as part of this year’s 24:7 Festival. More on that to follow after tonight’s Media Launch, but so far, it’s looking like I’m in for a very exciting adventure! The 2015 application window for our development scheme for young creatives (Foot In The Door) is now open and will close on April 7th. For more information and how to apply please visit our FITD page or contact Annika on annika (at) 247theatrefestival.co.uk. Awards were handed out, laughter bubbled across the layered venue (New Century House), and temporary goodbyes were made late into the night. I went along to help with tidying and post production tasks both in New Century House and the previous festival headquarters, and it was a somewhat strange but very ‘right’ way to wrap up the festival. Between moments fishing stray samosas from the potted plants, I reflected that the sheer creativity and passion of the various people involved in the festival has served as fuel for the future-the evolution of the festival is inspired subconsciously by this year’s productions and staff. The strength of this dedication will carry the mottos and intentions of the festival through into its next generation, if not reincarnation! The festival week started energetically: condensing the 24:7 headquarters office into a taxi-load and settling into our new home onsite at New Century House. One day I was out and about collecting supplies from other venues in the North West which were very kindly lent to the festival, and dropping off tickets and clues for our Festival week challenge Treasure Hunt, which utilized the #247treasure hashtag in mystery locations close to the Festival’s heart. I was interviewed by Laura Gatie as part of her FITD/PANDA placement, and this was a brilliant moment to reflect on what the whole Management Team was about to undertake. The opening days of the festival were filled with lamination, exclamation, and jubilation. The atmosphere onsite is constantly positive, with at least three writers and actors from this year’s productions to be found at any one time, ready for a chat and full of theatrical beans. My own tasks through the festival have included bar shifts, more office admin assistance, and making live tweet content from the productions. We are privileged as FITD members by being encouraged to attend as many of the productions as possible between running our own events, and the community has been incredibly welcoming, friendly, and receptive to all forms of commentary. The Herding Cats Convention and Festival 10th Birthday Party ran largely as Sarah (From last year’s stellar ‘Billy, the Monster, and Me’) and I had planned, including a cake buffet, comedy Photobooth and expert Panel which balanced the Festival programme in a really lovely way. Halfway through the Festival, our current tasks include collating production reviews, engaging in more office responsibilities, and problem solving on a general scale. I’m now off to help Harry Jelley (other office intern from FITD) with a Poetry Slam event he has produced! 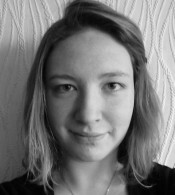 I’m Robyn, FITD trainee on placement in the 24:7 Festival Office, interning under Annika, David, and Kathryn. A typical day begins at 10am in the office, where we’ll all arrive and get settled with cups of tea kindly made by fellow intern Harry Jelley. I’m currently working on the Herding Cats Convention and 10th Birthday Party, both held onsite at New Century House during festival week. Sarah Birch and I meet around 2 days a week in the 24:7 HQ office, to make bookings and plans for the events and discuss progress. I spend the rest of the day helping with anything from setting up the office for events to sourcing supplies, and sitting in on informal chats with members of the 24:7 Family and Alumni. The placement is proving valuable to me in terms of really highlighting the true variety of thoughts and tasks which must be arranged and enacted in creating a festival. This was one of the most important things to me in applying to the Foot In The Door Scheme, having previously found festivals to be a truly intoxicating concept. The abstract notion of a temporary event intrigues me alongside the more concrete, logistical everyday issues involved . Realism is as important as a sense of humour and the willingness to work hard and apply oneself to the tasks as part of a greater learning experience. The weeks leading up to the festival absolutely flew by. I couldn’t believe how quickly the time passed. Before I knew it we were loading out our vast assortment of PA equipment, guitar amplifiers and drum stands from the car for the tech and dress rehearsal. The week leading up to this had been long and slightly stressful due to the fact it can be a very complex procedure to ensure that all the necessary equipment was transferred first to the 24:7 offices and then to New Century House without anything being left behind (plenty of heavy lifting had also turned my lower spine into a fine, powdery dust). However, once we arrived and set up things began to ease up as I realised that the musicians I had brought in for the project were all highly dedicated, well versed in their parts and completely professional. This time the nagging, self-doubting voice that inhabits the inside of my head could only muster a faint whisper thanks to the dedication of the band and the rest of Team Vera. Once settled, I found the run highly enjoyable throughout. It’s amazing how quickly you adjust to the pressures of performing every day and how what should be an extraordinary experience becomes routine after only a couple of days. It was lovely to walk into New Century House every day, greeting a host of happy people along the corridor before performing alongside the rest of Team Vera. The festival created a great community of artists and New Century House was the perfect hub for such an event. During my spare time between playing in Vera and working on other projects I saw as many of the other 24:7 productions as possible and felt a huge sense of pride watching each play, knowing exactly how much effort and passion had been put in by each company over the past few months. As show week drew to a close I began to reflect on my experiences during the run up to and within the festival. I can’t say that every single moment was completely stress free, within every project there are always moments when you have a lot to do and very little time to do it in (my favourite example being that I had about ten minutes to get to my graduation ceremony after finishing the tech and dress rehearsal for Vera and the taxi decided not to show up…Don’t worry, I made it… Just!) but throughout every difficult moment I always knew why I was striving to achieve something so complex. With such a supportive team of performers, writers, directors, choreographers, stage managers and band mates behind me, it was worth giving as much time and energy as I possibly could because I wanted to create a performance that best reflected the vast amount of talent that exists within Team Vera. Overall I believe that during the project I have made great steps towards becoming a better composer and I’m incredibly grateful to Jayne and Chris for putting their faith in me, for the patience of the actors who gave me the time to figure out how to best make things work and the musicians for their unwavering dedication and support. When I started the internship with 24:7 I felt lost after completing my final university project, but now, after achieving so much with Vera Dymond, I feel a lot more confident about my future as an artist. I honestly couldn’t have asked for a better way to conclude my three years at university learning how to become a professional actor and musician. It’s been a privilege to have been involved in 24:7. It’s always a slightly nervous experience stepping into a room full of people you’ve only just met knowing that in three months’ time you’ll all be working together to put on ten brand new plays over a period of seven days, as part of the ten year anniversary of a fantastic theatre festival. When production day came around it’s safe to say I was a tad hesitant due to the frantic little voice in my head shouting things such as: ‘Don’t do anything wrong and embarrass yourself!’ ‘What if the production team don’t like you?’ ‘Have you put your name badge on upside down?’ and so on; but all my fears were dispelled when I met Jayne and Chris who welcomed me into Team Vera with open arms from the moment we first met. Even though this was the first day we had spoken about the project there were already a few remarks made about the potential of utilising my skills as a musician and composer within the play due to the fact it can prove very expensive to use popular songs within a production due to PRS rights etc. I decided to review the script over the course of the next few days and make notes of where music needed to be included. By the time we had our next production meeting I had come up with some conceptual ideas for music that could be used within the production, but did feel a little bit nervous about sharing ideas at this early stage. Although I have done composition work in the past I’ve had a lot more time to plan and prepare on my own before-hand. When composing I can become very focused on my individual contribution to a production rather than standing back and seeing it as a collaborative effort. This can be an equal curse and blessing. In the weeks that followed I was to learn a great deal about the necessity to share and discuss ideas as part of a team which has had a massive impact on my understanding of the role of the composer within a theatrical production. In the end, after plucking up the courage to share my conceptual ideas, I decided to put myself forward for the role of composer and musical director on Vera Dymond via a formal application process. I felt it was necessary to do this in order to establish a clear difference between my role as a FITD intern and the role I was applying for as I knew other people were interested in scoring the play and I didn’t want to give myself an unfair advantage simply because I was already a part of the production team. After some deliberation, my application was successful and I began to work towards creating a full score for the performance. After further reviewing the script and doing research on the characters and their backstories I felt I had enough content to understand what would be needed within this production. I imagined Vera at the height of her career, performing at the North Pier, with a live band backing her, singing the great songs of the time, her voice a mixture of sadness and determination contrasting with where she has ended up. Rehearsing old clichés in a garage before performing in a run-down pub with only a karaoke machine and her future replacements as back up. From my interpretation of the script I came up with the idea of having the score performed by a live band rather than pre-recording the music in order to try and re-create that sense of being in a Blackpool venue during its hay-day. My vision was ambitious to say the least but I felt like making such a statement would give the play a unique selling point. Over the coming weeks I began to develop songs and incidental music that I thought subtly reflected each of the three characters I was writing about. I felt the script told the story of three voices, each with their own anxieties, fears and dreams interacting with each other, at first they are very discordant, but by the end of the play as the relationship between the three characters improves they become more harmonious. I tried to ensure that this narrative was reflected through the music throughout the play too, with one particular song progressing throughout from an out of time mess at the start of the play to a slick, well-sang show tune by the end. To ensure that the music was best suited to the vocal ranges of the three actresses I attended rehearsals during the run up to show week daily and developed the songs alongside them, allowing them to input ideas to make sure that the songs were as suited to themselves as performers and singers as they possibly could be. Chris, now appointed director, asked me early on to set delivery deadlines for each piece of music throughout the rehearsal process. I’ve worked to deadlines before, but usually there has been some leeway in the exact date that things have been delivered. Due to the tight turnaround times this couldn’t be the case on this project. Throughout the rehearsal process I had to learn to meet these set deadlines come what may. This was a very important lesson for me to learn. As I previously mentioned, I can sometimes isolate myself by focusing on my individual contribution to sound design, but by having short deadlines to work with, and being in the rehearsal rooms on a daily basis to consult with the production team and performers I found that I wasn’t able to focus on my work as an individual. Instead I found that I needed to showcase new ideas and lyric suggestions at each meeting and then continue to develop them alongside the rest of the rehearsals so that the actors felt confident with the songs. This was a much more natural way of working and ensured that when we came to the final week of intensive rehearsals (when the full band joined the performers) everyone was already well versed in their songs and it took considerably less time to run through sound cues etc. I learnt a great deal about the role of the composer during this time and that you must always ensure that there is a constant dialogue between your role and the rest of the production team, particularly the director and actors, in order to achieve the best results and create a piece that amalgamates each person’s input in order to achieve a clear artistic vision. Improved communication through set deadlines is definitely something that I will take forward with me into future work. I came on to the Foot In The Door scheme very late in the day, with little knowledge of what I’d signed myself up for. All I knew was that the scheme was meant to help emerging performers and artists make a start in the arts. Considering I was just about to finish my final degree module, concluding my three years at University, I felt somewhat cast adrift, not entirely sure which direction to head in to further my career as a performer but felt like the internship being offered might be the perfect way to try and figure out what I wanted to do next. From the moment I stepped into the 24:7 offices I felt immediately accepted by the whole organisation. The first two weeks training with Proper Job Theatre Company were highly informative, incredibly well structured and very engaging. After experiencing so much fear and hesitation with regards to completing university it was wonderful to look forward to something so much on a daily basis. Proper Job created an environment that meant a group of twenty or so strangers were able to become a well-bonded supportive group within a matter of hours. Over the two week period this bond only grew stronger, and those who completed the training left with a new group of highly-supportive friends. Proper Job’s training sessions concluded with each group member delivering a speech they had prepared based on themselves; a daunting prospect for everyone involved. It took a great deal of thought to write and then present my findings on what it really means to be… well. ‘Me’. The challenge set was difficult, but the gentle encouragement of Proper Job and their highly engaging programme of exercises gave me the chance to reflect on my past achievements and what I want to do in the future. Along with careers advice from PANDA I began to understand my true value as an artist, something that has eluded me in the past. I gained a sense of confidence to promote myself and to have faith in the extent of my abilities. After the presentations were over I felt a great sense of achievement knowing I had presented myself to the best of my abilities, as well as a huge sense of pride to have witnessed all of my peers succeed. The advice I was given during these two weeks had a great deal of influence on the following few months of my life. As a gigging musician, my new found confidence in knowing the value of my skills as an artist led to a succession of paid gigs (something that was unprecedented prior to joining the scheme) This has been followed by several further paid bookings, which has resulted in me having the capacity to purchase higher spec audio equipment to further improve my music. My presentation also resulted in me being accepted onto one of the Artist placements with 24:7 and I was delighted to be paired with Jayne Marshall’s wonderful play ‘The Lives and Loves of Vera Dymond’. I knew from the short blurb I had read regarding the play that there may be scope to incorporate music but had no idea that I would be given the privilege to compose songs and take on the role of musical director in weeks that followed. 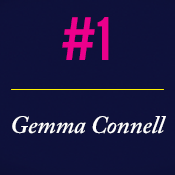 I truly believe my decision to put myself forward for the role was something that stemmed from the confidence I gained during the Proper Job workshops and feel I owe the company, as well as the group of peers I was lucky enough to meet, a great deal for helping me to realise what I was able to in the following months. the confidence to apply for things that I would never have done so before. had fully blossomed, representing the fact that my confidence was now glowing. feedback after my speech gave me a real confidence boost. path and not to give up. Loves of Vera Dymond’ and go behind the scenes of ‘Afterglows’ script reading with Emma. everyone who had taken part in the development of the productions. The festival is over for the year. We spent the last day of the festival packing up the office at New Century House and moving back into 24:7 Towers on Quay Street. This was my last act as a Footie for 24:7. The festival had a great atmosphere throughout, and being able to be part of the optimism and positivity of the writers, performers and office was a great experience. The Box Office ran more smoothly than I’ve witnessed at other festivals and, bar one fire alarm, each performance was fantastic. Looking forward it’s easy to see how working with 24:7 will influence my career. I’ve learnt a great deal about working with festivals and producing in this environment. I felt that the festival had the right amount of events and performances, something which is key for festivals and that I will take on to future projects. The strong organisational foundation going into the festival week had a clear effect on the smooth running of the week itself. Also the friends that I’ve made through the whole of the Foot in the Door scheme will be hopefully be lasting and, along with all the other people I have met through this programme, we will be able to work together on future artistic projects. Since the festival has finished I’ve been able to feel it’s absence. When cycling into town, I sometimes find myself accidentally heading down towards Quay Street, only remembering at the last to swing across onto Deansgate at the traffic lights. Working with the team of people that I was able to at 24:7 was fantastic. I already look back at the scheme happily and with appreciation at what I was able to learn. Most importantly, I am excited looking forward at the projects that I will be able to apply this to. 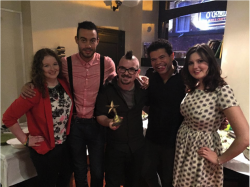 I say opening night, but it was in reality opening afternoon – but this did not detract from the excitement felt from the In My Bed team! As we were the first play of the day we had plenty of time for fresh coffee and getting ourselves organized. The stage was set and our actors were finishing doing vocal warm ups, a friendly steward let us know the audience were ready and waiting. It was time. Off I went to my post behind the flats and the large double doors opened to let the audience in. Hearing muffled conversations and excited voices I felt as though I could burst with excitement. Then the house lights went down and the fantastic actors I had been working with for the past 2 and bit months went on stage to shine. An hour went by in a heartbeat and before I could catch my breath I heard the audience burst into applause and I felt such a sense of pride of what we had achieved. I knew that I was meant to be there in that very moment and this is what I would always want to do. I have been fortunate enough to be given a bit of creative responsibility for the show I have been working on – Rebekah Harrison’s ‘In My Bed’. The play is set in the main character’s bedroom and the set needs to be aesthetically pleasing as well as functional ! My writer and director have given me loose guidelines and have let me go off in my design bubble and come back with ideas for the set design. Coming from an art background I knew the flats where a shade of grey so put forward to the group that as we had a black bedframe how about we go with a monochrome colour pallet, as it would be true to our character’s taste, but also would give the look of the production a really polished feel. This was received well so I went back into Manchester to find fabric swatches and paint. Over the next few weeks things were spray painted, distressed and sewed and I thoroughly enjoyed every minute of it (apart from the day I had to take a chest of draws up and down 6 flights of stairs!) All my offerings were met with encouragement, which made my confidence grow day by day. My time spent on the production has made me realize that my passion lies with design for theatre and now I am eagerly pursuing a career in set design. Tonight is the night! Me an the rest of the Footies (Foot In The Door trainees) are getting ready to perform the speeches we have been working on for the last week and a half to an audience of industry professional’s. Safe to say I am terrified. But what is reassuring about this situation, everyone else has the same look of fear in their eyes, EVEN THE ACTORS! I have absolutely no experience in public speaking and have never particularly wanted this fact to change. But here I am. As part of the scheme we deliver a speech about ourselves to ‘pitch’ ourselves for an opportunity to obtain a placement with either a writer, PANDA or 24:7 Theatre. I am sure I must have turned a worrying shade of grey as several people have come up to me and told me ‘everything will be fine Luce – what’s the worst that can happen?’. The fear is really starting to kick in now! However with all this said we are all eager to get this show on the road and the feeling of camaraderie is electrifying. We are sat in supportive huddles, downing bottles of rescue remedy and keep on succumbing to fits of giggles. The door goes and we realize that the time is now! We head to our places and in true Foot In The Door spirit we give it our all. Being in the office during festival week is a bizarre mixture of calm and chaos. There are tickets, some cut/some still regimented on sheets of A4, strewn across a table —someone in this building has left half-way through this job to perform another task but they know exactly how far through it they are and what needs to be done. The clock permanently tells us it is 3pm/am which still startles us in the hours leading up to this time but, as everything is running seamlessly, it needn’t. Compared to other arts festivals I’ve experienced, the calm and considered approach of 24:7 makes a real difference to the atmosphere. The sense of chaos appears to come from the expectation that something could go wrong; the calmness comes from the assurance that everything has been well planned and produced, this trumps the former. From the office we hear the crowds building in the foyer in the half an hour before a performance and then the slow draining of sound into the venues 5 minutes before those three shows start. As each performance and the tech team have been responsible for it’s production, and that they have been expectedly professional about it, there is a degree of comfort from the festival management team during the week. As with any festival there are tasks that arise and solutions to be found, but they are performed and resolved with a minimal fuss. I’m told that in the years before 24:7 was all in New Century House that it wasn’t like this. That festival workers spent their time running between venues and working on the fly. Part of me feels that this would have been more exciting but the sensible/practical part of me realises that what exists now is far more conducive for a festival that the public and staff can enjoy. At other festivals I have only been able to see performances that I was introducing or closing with thanks. At 24:7 I was able to see the majority of the shows. This has been an essential part of growing professionally, understanding the expectations of a fringe theatre festival and being able to develop ideas of my own. This was all possible due to the planning and the calm. Whilst the office may seem disordered to those popping their head through the door, for one week we have our own brand of order, and it works. I have had an amazing experience through festival week, from seeing almost all ten plays, to running about backstage with the Vera Dymond team. It’s been one hell of a learning curve! I loved the general atmosphere around New Century House and being able to feel the camaraderie between all the individual shows. We all wanted each other to succeed and would help out as much as possible. I think my favourite moment of the festival was our final Vera Dymond performance. The show had had time to grow into something beyond anything I had seen in the rehearsal room and the whole team had come together to support one another. The Foot in the Door programme has given me more confidence to go for the jobs I really want and has taught me so much about networking! The 24:7 team are all talented, hardworking and genuinely lovely people and I hope I have the opportunity to work with them all again next year. This year was an especially exciting year as the festival celebrated its 10th year and Saturday saw the a whole host of new and familiar faces come together for its 10th Birthday Party at New Century House, the venue for all this years shows and events. For me the party was a great chance to connect with everyone from the shows and find out how everyone had been getting on. Being the second day of the festival there was a definite buzz for the week ahead with many people swapping recommendations and timetabling in to catch each others shows. It was really nice to see how supportive everyone was amongst the various shows and to get to know people on a much more personal level having fleetingly met most of them whilst filming with Dreamscope. The night was also a great opportunity to catch up with the rest of the footies who had all been incredibly busy themselves from Georgie Edward’s stage management and hunt for gray lollypops for Tongue Twister (eventually shipped over from Germany!) to Sam’s dedicated hard work on an incredibly dynamic score for To the Dam. I also caught up with Harry who had been busy planning one of this years’ extras events ‘The Big Slam’ which consists of a spoken word battle between some of Manchester’s upcoming poets, writes and performers and looks to be one of the many exciting events he’s planning since recently moving to Manchester. 24:7’s official photographers Act iii where also in on the fun, hosting a dress up photo booth which was a lot of fun (photos available on the 24:7 Facebook page!). The evening was also a great opportunity to reflect back on 24:7s many achievements over the last ten years with a lovely speech by David Slack who gave thanks to the many theatre makers and volunteers who help make the festival such a success every year. For the event I made a ‘Happy Birthday 24:7’ video, which saw a whole host of supporters and contributors wish a big Happy Birthday to the festival as well as some brilliant singing by Peter Holden from Holden and Sons.Overall a great evening with great people and some very nice cake. Happy Birthday 24:7!! I literally got my foot in the door of the arts industry in December 2008, when I joined 24:7 Theatre Festival on a short Christmas work placement. Luckily for me, I never really left. 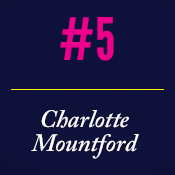 I served in “Festival Promotion” until July 2010, when I then began assisting Kathryn Worthington, Festival Director. My experience with the festival has been invaluable. I gained my first contacts in theatreland, gained confidence to create my own work, and became a fully fledged Producer in a whirlwind. I believe that my position with 24:7 landed me the job of Trainee Producer at the Manchester International Festival in 2010/2011, as part of the DCMS Jerwood Creative Bursaries Scheme. From then I’ve returned to 24:7, both producing and box office managing, as I truly believe I wouldn’t be here without them. Having since been Groups Coordinator for Cheshire Dance’s “The Moment When…” and Stage Manager for Crying Out Loud’s “Piccadilly Circus Circus” for the Olympic Games, I have now been Youth and Education Coordinator at Pavilion Dance South West for 2 years. And guess what I’m doing this Summer? I’m coming back to 24:7. Director and Executive Producer of Pull Your Finger Out Productions and Contact Compacts. I took part in the first Foot In The Door Scheme in 2011. 24:7 was my first network and introduced me to numerous like minded contacts, and taught me the nitty gritty tips of how get productions working for you! Since 24:7 I’ve become a self sufficient theatre maker/producer, directing two full shows and 6 shorts, and assistant directing and casting on numerous significant companies. I’m certain that my opportunities were influenced by the fact I had 24:7 on my CV so soon after graduation. Since then I’ve worked in a variety of jobs at Contact to continue building experience. Last year I founded Contact Compacts, a short play series at Contact which aimed to “Bring the fringe to the theatre”. Our events were a real success and are now in the process of being formally programmed by the theatre. Over the last year we’ve established Pull Your Finger Out Productions and will be producing our first full length show “Afterglow” as part of this year’s festival. I have a long journey before making creative work my source of income, but I’m making progress and importantly, making work that I enjoy and am proud of. I am so grateful for 24:7 and that all important very first Foot In The Door! I applied for the Foot In The Door scheme as I wanted to learn more about arts-based administration. Working in the head office with the Directors Kathryn and David, as well as Lucy, Charlotte and Annika, encouraged me to choose an event manager role as my final project at Salford University. The experience, support and knowledge they gave me allowed me to go on and manage over 160 students – and I glided through the publicity and administration end of things with ease! It was a very fun working environment, honest and understanding to each individual, and a great way to network and meet emerging writers, established directors and see brand new performances. It’s certainly the best way to get your foot in the door! I took part in the FITD scheme in 2012 and was attached to Working Progress Theatre Company as an assistant director and stage manager for their production of Loaded. I’ve continued to work with them ever since and recently directed a play as part of The C Project at The Lowry to raise money for The Christie charity. As well as introducing me to people that I love collaborating with, FITD also gave me the knowledge and initiative to start making opportunities for myself, something that can be really valuable in an industry with limited openings! In my final year at Newcastle University, I became involved in Foot in the Door, and I became Assistant Producer on ‘The Transit of Venus’. Lucy Jones (Foot in the Door Manager) also put me in touch with Box of Tricks Theatre Company who were presenting ‘My Arms’. I became an Ambassador and Assistant Producer for Box of Tricks, which was the beginning of an exciting and rewarding relationship as they went on to give me my first professional producing job. With communications experience in other industries, I began working with 24:7, managing their social media and online marketing amongst other things. By 2013, I was acting as their Marketing Manager, and with this experience I secured the role of Communications Manager at Action Transport Theatre. Since then, I have worked as a freelancer producer and marketeer with The Library Theatre Company and Burnley Youth Theatre, and am now an Associate Producer with The Lowry Studio curating my own festival. The 24:7 Foot Door In The Door scheme offers more than a lot of larger organisations can. The networks available are immense and accessible, and everyone is encouraged to take advantage of them. As someone who could never afford to do a post-graduate degree in producing, the learning made available to me has proven invaluable, not only on what exactly a producer is, but how an NPO works, how festivals and small companies operate, how to collaborate, and much more. I am quite sure my career as an emerging producer and marketer in the North West would not exist without Foot In The Door. 24:7 is a registered Arts Award Centre and Arts Award Supporter. 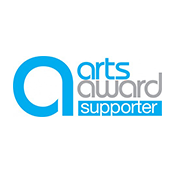 Arts Award’s unique nationally recognised qualifications support anyone aged up to 25 to grow as artists and arts leaders, inspiring them to connect with and take part in the wider arts. 24:7 offers advisors for Arts Award bronze, silver and gold level as part of our Foot In The Door scheme. We hope to explore year-round opportunities after our 2015 festival. We also support Arts Award at all levels by offering young people discounted tickets to festival shows, other events and workshops. We schedule volunteering and internship opportunities and provide direct contact with arts practitioners.